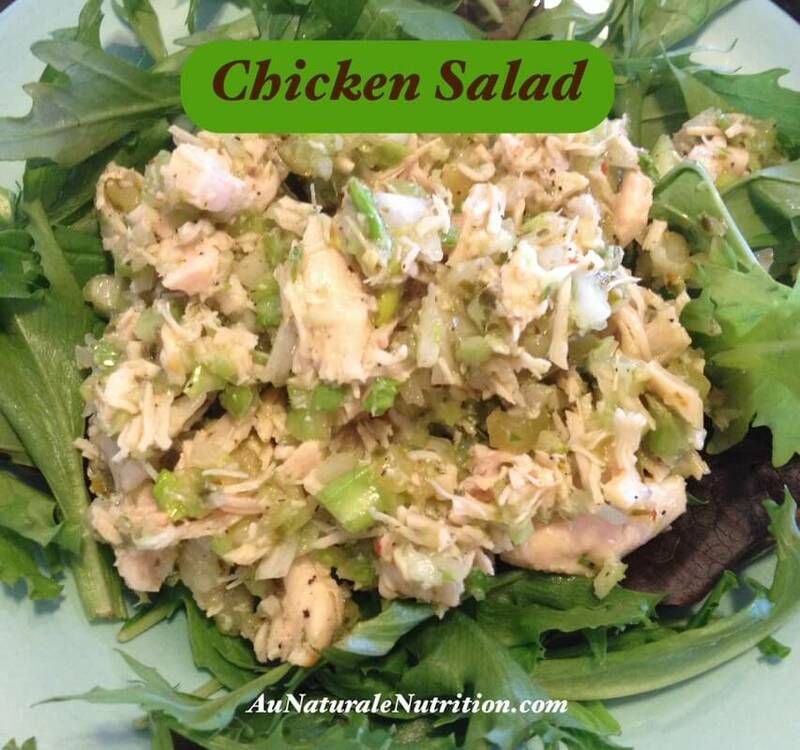 My husband loves a good chicken salad, especially during the summer. Where some people have an inclination to brownies or chips, my hubby pines for chicken salad. And he claims that he’s quite the expert when it comes to a truly tasty chicken salad. So I’m constantly on the hunt for a new and easy deli-style chicken salad to find the most perfect one. 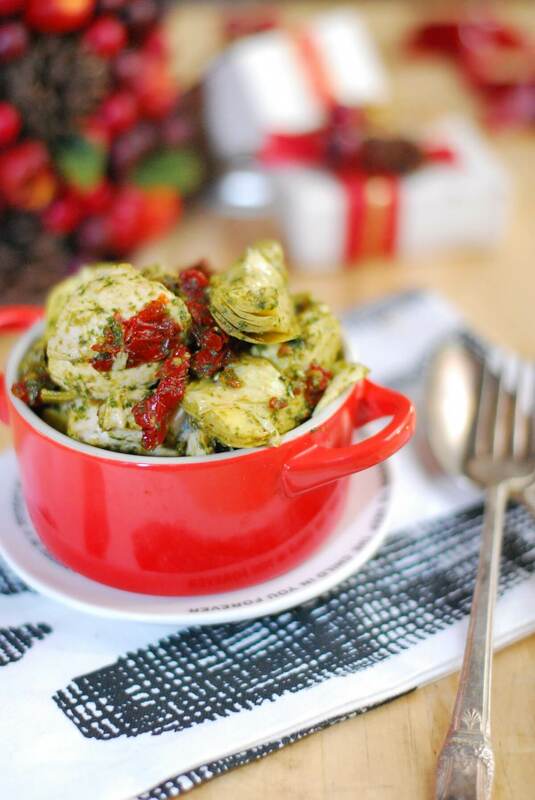 This recipe is next on my list. 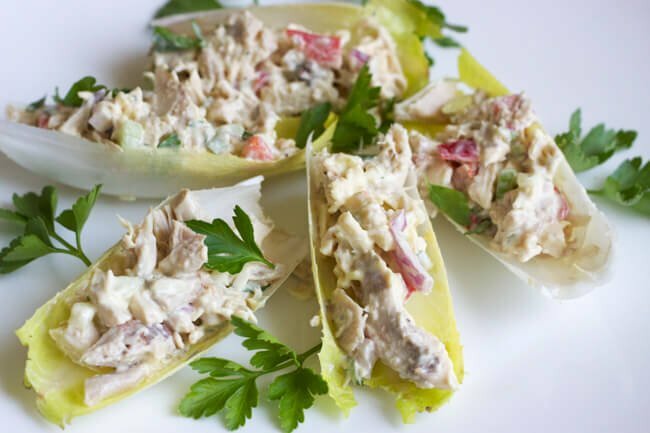 It’s made with real food (a must) and has almonds, celery, and grapes to add a delicious crunch that balances the creaminess of the homemade mayo and mustard. 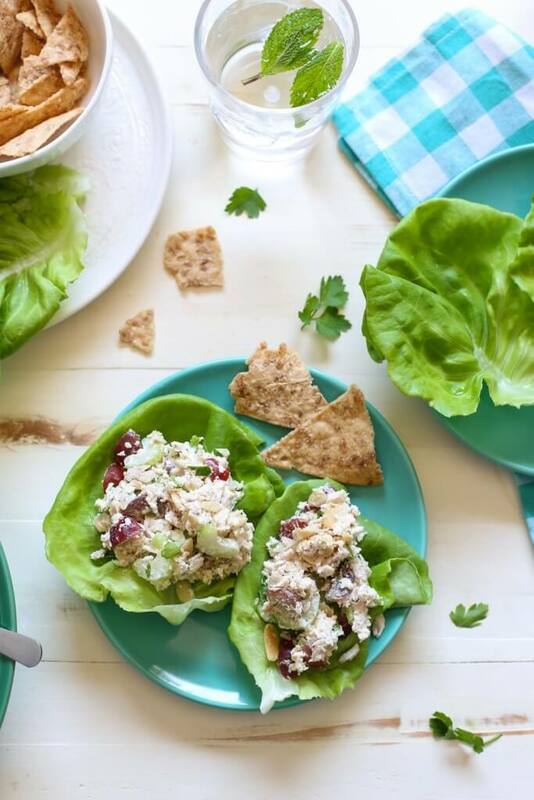 This chicken salad would be delicious on some fresh sourdough bread or alongside chopped veggies with cream cheese dip. “When life gets busy and messy it’s easy to fall into a “I’m just going to skip making lunch/dinner and run to the store” mentality. As you know, daily store-running behavior quickly adds up, and adding up is not something we need during a kitchen remodel. In the midst of laundry piles and drywall covering half our home, I’m trying my best to stay prepared on the food side of life with simple and easy meals, such as: crock-pot black beans, real food style nachos, grilled meats and veggies, and chicken salad.